The European Rewilding Network was officially launched on October 9, 2013, at the World Wilderness Congress in Salamanca, Spain. Since then, it has grown to 34 members from 18 countries. Three member-events covering specific rewilding subjects took place and this year one more is planned for November. 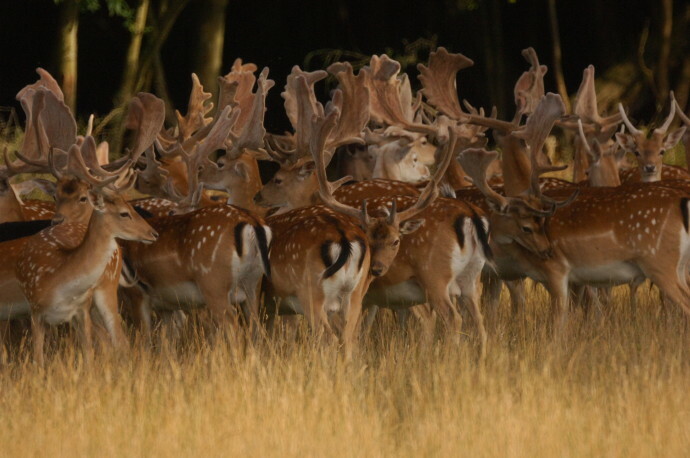 Herds of fallow bucks roam freely in the Knepp Wildland, a 3,500 acre rewilding project in south-east England. There are herds of longhorn cattle, red deer, Exmoor ponies and Tamworth pigs, too – all driving the forces of habitat creation and providing stunning scenes for wildlife enthusiasts. It is a living network of rewilding initiatives of major interest, in support of the rewilding in Europe used as a tool for nature conservation. From Bulgaria to Scotland, and from Sweden to Portugal, with several more really interesting rewilding initiatives that are just about to join in. –“Through the ERN, I discovered that I am actually not alone, but that there are many people out there thinking like me, willing to help out and to share lots of different experiences, in big and small”, explains Sebastian Catanoiu, founder of the famous European bison reintroduction project in Vanatori Neamt, Romania, which was one of the first members of the network. “Also, I now feel that I better understand the many other benefits of “rewilding” as a broader concept, rather than just simply reintroducing a species”, he says. European Rewilding Network members share their expertise, explain about their successes and failures – to learn from and inspire each other with novel ideas and different approaches. The ERN also makes it easier to bring greater public attention to these sites and putting bigger spotlight on their achievements. Three webinars for members have already taken place, covering specific rewilding subjects. The most recent webinar was about how to involve and work together with local communities and stakeholders – an aspect that is of huge importance in all rewilding areas. The next experience-sharing event of the ERN is planned for November. In addition, several opportunities are being considered for the near future, like workshops and training visits for members of the network. Matteo Caldarella / Oasi Lago Salso. –“These occasions are and will be useful for inspiring ideas and solutions to problems encountered in the challenging task of nature conservation”, says Matteo Caldarella of Oasi Lago Salso, Italy. The ERN includes specific expertise regarding important and often threatened species like bison, beaver, brown bear, wolf and several species of vulture. Apart from the member sites where natural grazing and predation take place, also included are several rewilding areas in which water dynamics (e.g. 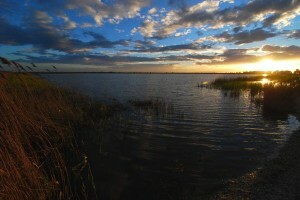 flooding) and other natural processes are allowed to again form the landscape. During the past year, members have also shared valuable experiences by directly contacting other members. Sometimes resulting in a field visit by one member to another, to show and discuss on-the-ground activities. Please do have a look at the network’s members and their achievements so far, and feel welcome to have a look at how your own inspiring rewilding initiative could become part of this growing network, at www.rewildingeurope.com/rewilding-network/.